Juliette Gordon Low is one of many famous adults in history who had a hearing loss. 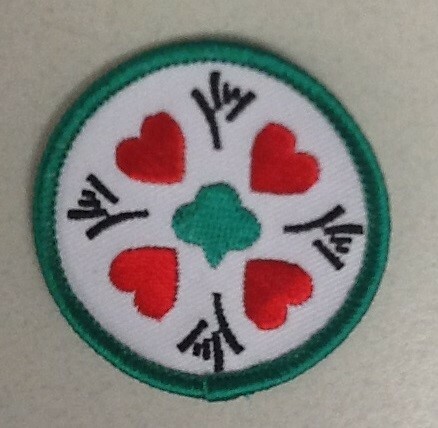 In earning this badge, Girl Scouts will learn about how Juliette Gordon Low lost her hearing, about hearing loss, and what it is like to have a hearing loss! WHAT ARE SOME WAYS TO LOSE YOUR HEARING?? Seniors and above do all 5 items. •	Research and talk to your friends/scout leader about diseases that cause hearing loss. •	Learn about the parts of the ear and label them on a diagram. •	Learn about sound awareness and create a poster promoting it. •	Identify noises in your community that are harmful to hearing and take action! Write a letter to your mayor or city council voicing your concerns. •	Research some ways that someone can lose their hearing before they are even born and discuss this with your friends/scout leader. WHO HAS A HEARING LOSS?? •	Identify two famous adults, in addition to Juliette Gordon Low, who have a hearing loss and learn about their lives. •	Invite someone with a hearing loss to speak at a troop meeting. •	Talk to an audiologist to learn about how hearing is tested. •	Wear cotton balls in your ears for one hour to see what it feels like to have a conductive hearing loss. •	Create a presentation that schools can use during Deaf Awareness Month (September). •	Visit http://www.hearingaidmuseum.com/ to learn about different types of hearing aids. •	Learn about, list, and explain 5 items that Deaf and Hard of Hearing people can use in their homes for safety or everyday living. •	Those with hearing loss can still enjoy music. Explain how and name at least 3 musicians or performers with hearing loss. •	Contact Illinois Service Resource Center (ISRC) at www.isrc.us to borrow some items that those with hearing loss use and try them out at a troop meeting. •	Learn the manual alphabet and ten words in sign language. •	How many kinds of sign language are there in the US? Compare and contrast two of them. •	Explore ways to communicate without speaking or using sign language. What did you do? •	Have a silent troop meeting. Communicate using signs, body language, writing, or anything else that you can think of! •	Learn the Girl Scout Promise and/or Law in sign language. •	Visit Deaf Artists Network at www.dpan.com and watch an interpreted video of a song of your choice. •	Research Chuck Baird, deaf artist and compare his artwork with art created by Louise Stern. •	What is a CODA as it relates to deafness? Learn about a famous CODA as a troop. •	What is the name of the first liberal arts college for the Deaf? Learn about where this school is located, who founded it, and the famous Deaf President Now movement. •	Being Deaf has a culture of its own. How is it the same or different than cultures that you associate with? Talk about it as a troop or bring something to a meeting to show about the culture that you associate with and how it is different from Deaf Culture.